A professional and published London based Illustrator, with a client list including The Guardian, The Independent and AnOther Magazine, Laura set up The Daily Think to showcase her own self initiated work - based on daily life. The things we see, hear and do everyday often from an amusing angle. To make life easier to swallow. 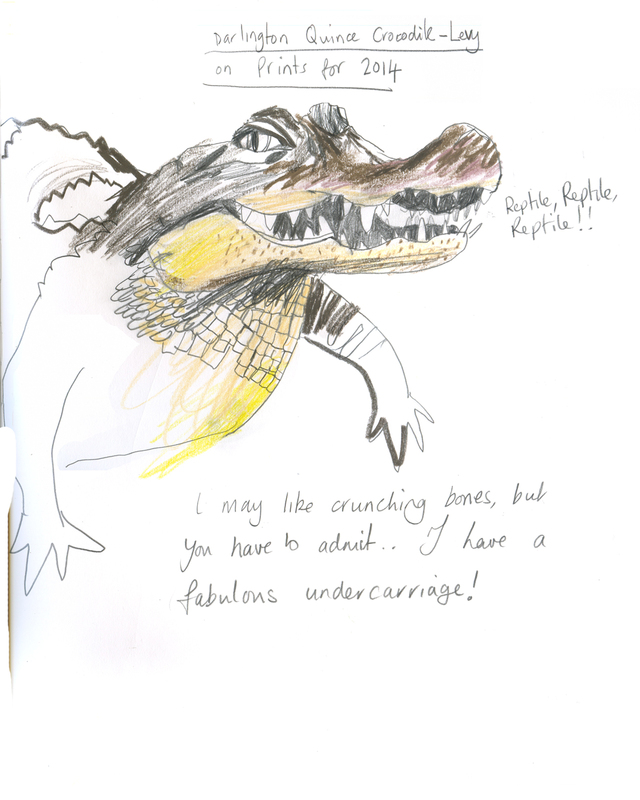 This entry was posted in Farmhouse Fashion Forecast, opinion and tagged Crocodile print, Fashion, fashion trends, humour, illustration, Laura Quick, satire. Bookmark the permalink. Definitely innovative and creative! Caught this professor’s attention and isn’t that the name of the game? I love a good Instagram Selfie. Perhaps I’ll do a collection, because I was wondering if I see what she wants me to see in her own self portrait. She had a sense of calm sadness, to me. Indeed, Jeriel. Indeed. I’m still picking mine 12 years on, and I don’t see anything changing. @ginbird11 Bastian’s own footwear. I love my studio. @wearetenfold print nottingham. Just need some massive rugs and I’m all good.